Natalia Sedletska is the host of Schemes, an award-winning anticorruption television program by RFE/RL's Ukrainian Service and Ukrainian Public Television. 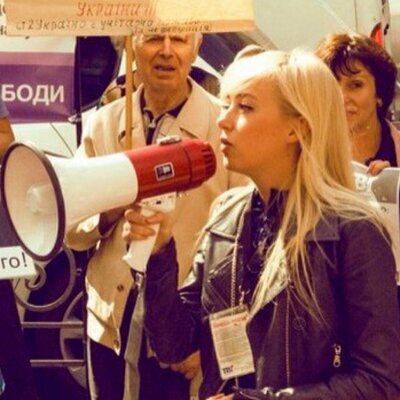 The European Court of Human Rights (ECHR) has extended a decision made last month to prevent Ukrainian authorities from accessing data from the mobile phone of Natalia Sedletska, an investigative journalist for Radio Free Europe/Radio Liberty (RFE/RL). The ECHR on September 18 issued a one-month interim decision ordering Ukraine’s government to ensure that the authorities there do not access any data from Sedletska’s phone. In a letter to the Ukrainian government on October 16, the ECHR announced it “decided to prolong until further notice” the measure adopted last month. This gives Sedletska time to prepare a full complaint against a Ukrainian court ruling allowing investigators to review data from her phone. As reported by RFE/RL, Kyiv’s Pechersk district court approved a request from the Prosecutor-General’s Office to allow investigators to review all data from Sedletska’s phone from July 1, 2016, through November 30, 2017. The ruling stemmed from a criminal investigation into the alleged disclosure of state secrets to journalists in 2017 by Artem Sytnyk, director of the National Anticorruption Bureau of Ukraine. On September 18, a Ukrainian appeals court ruled to restrict the original request to geolocation data from around the offices of the National Anticorruption Bureau in Kyiv, but upheld the original time frame. Sedletska is the host of Schemes, an award-winning anticorruption television program by RFE/RL’s Ukrainian Service and Ukrainian Public Television. The programme reported on several investigations involving senior Ukrainian officials, including Prosecutor-General Yuriy Lutsenko, during the period in question.